Upstream Security is the first cloud-based cyber-security solution that protects the technologies and applications of connected and autonomous vehicles. 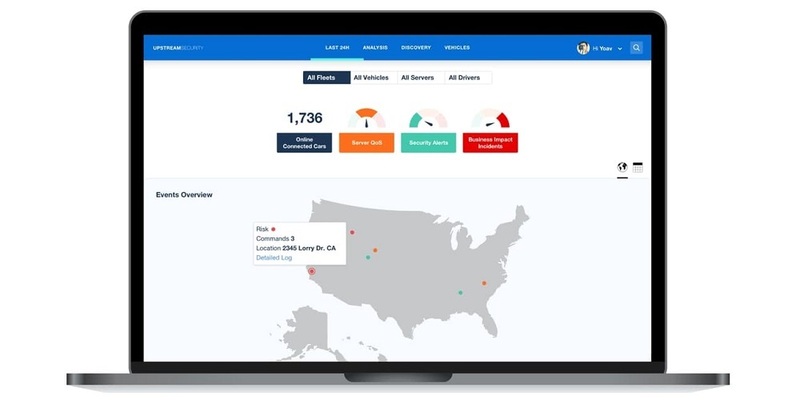 Founded by cyber-security veterans, Upstream Security leverages big data and machine learning to provide OEMs and vehicle fleets with unprecedented, comprehensive, and non-intrusive defense. With Layer 7 security, real-time data protection and anomaly detection, attacks are identified and blocked before they reach and harm the vehicle’s network. Q: Upstream Security leverages advanced cloud technologies, big data, and machine learning; tell us something more about the company and your cyber-security solution? A: I founded Upstream Security, together with Yonatan Appel our CTO, after we noticed that the automotive market is going through a massive disruption (even bigger than the mobile phone) and consequently, the security solutions in this arena are undergoing an evolution similar to the one that happened in IT. In the IT domain, we’ve seen solutions advance from AV to ones based on AI and big data. We were able to apply our knowledge, as security veterans with 20 years’ experience, to carry out this “evolutionary leap” for connected cars and fleets. We are the first automotive cyber-security solution to offer a cloud-based platform that detects and prevents large-scale attacks on connected and autonomous cars. Upstream security’s cloud-based SaaS platform operates in the meeting point of fleet management, IT network and OT network (operational network). 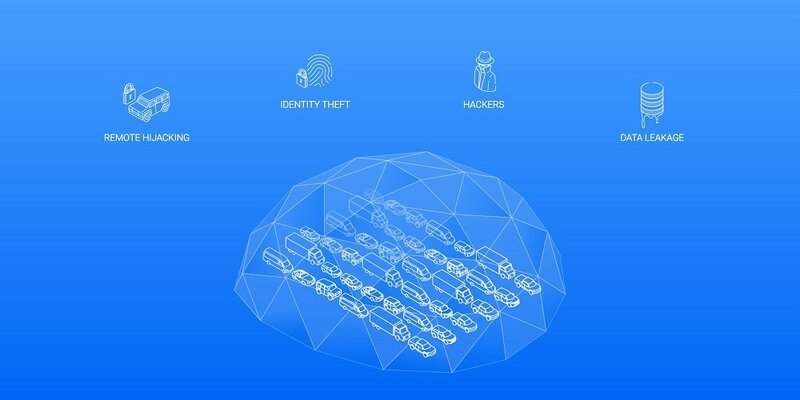 The combination of our powerful real-time detection capabilities and complete visibility into security incidents, enables unprecedented protection of connected cars and fleets against a range of attacks, such as: identity theft, ransomware, data-leakage, and illegal commands, before they reach the vehicle’s network and can cause any harm. Q: You’ve recently announced $2M investment; could you tell us something more? A: We raised $2M two leading VCs: Glilot Capital Partners and Maniv Mobility. Glilot Capital Partners is a seed and early stage venture fund. Among the companies Glilot has invested in thus far, five of the first six have been acquired by Microsoft, CA Technologies, Palo Alto Networks, Marketo and Intuit. Glilot Capital Partners was founded in 2011 by Kobi Samboursky and Arik Kleinstein, former entrepreneurs and veterans of the IDF’s most elite intelligence unit, and currently manages $125M across its funds. Maniv Mobility, Israel’s first venture capital fund dedicated exclusively to the new mobility future, has deep connections throughout the global automotive industry, as well as the policy and technology communities. With a wide portfolio of sector-leading startups, they actively use their experience, networks and resources to help founders turn ideas into great companies. Q: What is unique about Upstream Security and how does it stand out from competition? A: Upstream Security is the first cloud-based solution that protects connected and autonomous cars from the cloud. Most cyber-security vehicle solutions are in-vehicle and as a result, suffer from long production cycles, impeding on the agility, as well as on the ability, to protect against today’s and tomorrow’s cyber-security threats. Upstream Security’s solution offers innovative, non-intrusive protection effectively securing cars that are already on the road today. Q: What are your plans for next 12 months? A: We are currently running several live pilots with leading OEMs and fleet management companies. In addition to continuing the great traction we have gained, we are planning to reach General Availability by the end of the year. Above all, we aim to continue to demonstrate leadership in the security domain of connected and autonomous cars and fleets. Q: What are the main challenges of developing cyber-security solutions right now? A: First, to create a successful cyber-security solution, one must have a deep understanding of the IT architecture, such as: the multiple layers of protocols, attack vectors, networks, as well as a thorough understanding of the client and server sides. 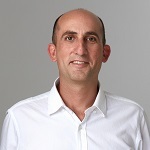 Yonatan, co-founder and CTO, and I are seasoned security professionals, with more than 20 years of experience working with leading security companies including: Checkpoint, Imperva and Juniper Networks. In terms of our domain, the automotive industry is going through an exciting time where rapid IoT-related developments and users’ expectations for new features give rise to many new security risks. These risks grow exponentially when you stop to think about the extent of damage that can happen when an entire fleet of cars gets hacked. Most importantly, when developing cyber-security solutions in all domains, one must adopt the mindset of a hacker in order to continually be creatively on the lookout for the vulnerabilities and weak spots.